Debbie Boone, CCS, CVPM, is a practice consultant at 2 Manage Vets Consulting Service and has more than 30 years of experience—23 as a practice administrator and the COO of both small and mixed animal practices. She is Fear-Free certified and a certified veterinary practice manager. Her focus is on coaching exceptional communication, client service, and team culture. FUN FACT: Debbie is a neuroscience geek and loves to read books about how our brains work. Salary and benefit negotiations should end with both parties feeling satisfied. Instead, both parties frequently gird their loins, go into battle, and one person loses. That person is then expected to go to work and perform at a high level with no hope of reward in the near future. A different approach can change this outcome. A newly graduated veterinarian, armed with data from her school, is seeking an associate position. She plans to base her salary demands on that data and the amount of her debt load. It is not that simple. Associates must know the demographics of the area in which they wish to work. If you are returning to your hometown, you may know the local salary ranges, but if you are seeking a job in an unfamiliar area, first visit the US Census and Department of Labor websites1,2 to investigate pay rates and resident demographics and the local chamber of commerce for cost-of-living expenses. Veterinary nurses and support team members should do the same. For example, if you are moving from New York City or San Francisco to a small midwest town, you will probably be dismayed at the salary range. Be prepared with the facts. New graduates anxious to tout their fresh academic skills may find this unorthodox, but wise managers and owners will care. Promote your nonclinical skills, explain how your other job experiences relate to the veterinary profession, and lead the discussion on the dollar value of those skills. For example, if you are seeking a position with the client care team and you have hospitality or call center skills, you will be a more valuable applicant than one who had a manufacturing job. Remember: I love animals is not a skill set, although every manager has seen it on applications for every position. Present all your skills confidently and concisely, and explain how you will use them to drive revenue to the practice to justify the salary you are requesting. Be confident but not arrogant. If you do not believe in your own worth, neither will your manager. During the last year at the practice, a team member has increased his worth to the practice by taking on more responsibility, creating a new process, or learning a new skill that has improved practice operations and grown more revenue. He thinks he deserves a raise. First, document all you have done and be prepared to explain to your manager how you made things better, faster, or cheaper for the practice and your other team members. No one should be able to toot your horn better than you. You spent many hours studying to become a veterinarian or veterinary nurse, but you likely overlook or avoid learning the art of selling yourself. Read books on public speaking and negotiation techniques and learn to tell your story. Be prepared for this important speech. Speaking up is as important as speaking well. Your manager will not automatically offer you more money just because you are performing at a high level. If you say nothing, she will presume you are happy with the status quo. Just because the negotiation did not result in the desired outcome the first time does not mean that you should not try again in 3 to 6 months. Practices are affected by outside influences that can impact their ability to increase team member salaries. After an open, respectful conversation with your manager, you may learn your request is not possible. That may be the time to decide to lower your demands. If you enjoy your job and the practice culture is supportive and positive, compromise is certainly a viable alternative. However, if you truly deserve more, No could mean Not right now, so set a date to revisit the discussion and do your best to help the practice better afford your request. You must be willing to walk away if you want the best deal. Fear of change holds talented people in jobs in which they are underappreciated and undercompensated. Leaving is hard, but opportunity requires risk. In the author’s first job, she went to her boss for raises as she gained responsibilities. He decided he would give her a percentage of revenue to avoid future salary discussions. The more business she helped drive, the more she made. She took the risk. Her salary doubled in the next few years. A practice owner knows she has many good team members who work hard and probably deserve higher pay. However, she also knows practice revenue is not as high as she would like. 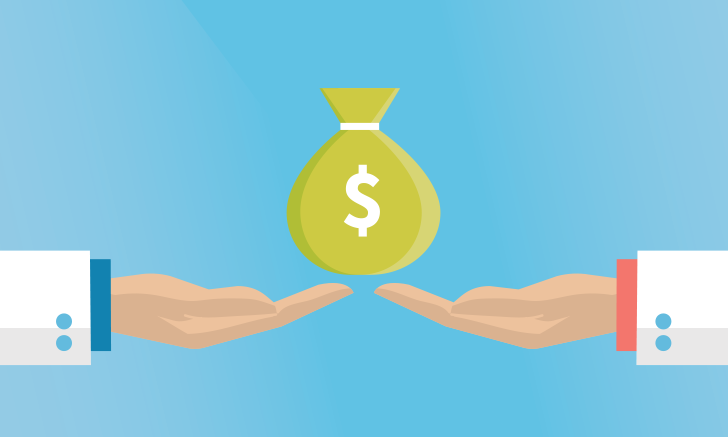 Salary negotiations can be just as difficult for the giver as the receiver, but there are options. As the owner, before meeting with any team member, you must know your salaries budget and how any increases will affect your bottom line. Compare your labor expense to benchmarks,4 but know these are just guidelines. Just because a statistic shows veterinarians make X, veterinary nurses make Y, and client care team members make Z does not mean you must stay in those boxes. Many factors (eg, location, practice size, building overhead) will affect what you can pay. If you have excellent team members and you cannot afford to give them a deserved raise, evaluate your fees, discounts, and giveaways; for example, in the average practice, simply capturing fees for all the work performed and limiting giveaways may afford better pay for the team. Consider other benefits such as allowing team members flexible time, pets at the office, and discounted treatment charges or insurance for pets. Set pay grades within the departments so team members have goals and know they can increase their salaries. Also, set performance guidelines so they know they can reach the next pay level not by longevity but by their standard of work. Remember, everyone must go back to work together after a salary negotiation, no matter the outcome. Be respectful, professional, and compromising. Appropriate behavior assures the opportunity to renegotiate another time. 1Know the facts. Learn the demographics of the practice area you are considering before sitting down to negotiate. If you are the owner, know your practice numbers and the amount you can afford to pay before beginning negotiations. 2Share how your life skills can positively impact your performance at the job under discussion. 3Present your offer and say no more, no matter how uncomfortable the silence. 4Do not go into salary negotiations prepared to do battle; act respectfully and professionally because no matter the outcome, frequently both parties have to continue to work together. Economic indicators. United States Census Bureau. http://www.census.gov/economic-indicators. Updated October 27, 2016. Accessed November 1, 2016. Overview of BLS Wage Data by Area and Occupation. Bureau of Labor Statistics. United States Department of Labor. https://www.dol.gov. Accessed November 2016. Benchmark reports. Veterinary Hospital Managers Association. http://www.vhma.org/?page=BenchmarkReports. Updated 2016. Accessed November 2016. Benchmarks 2015: a study of well-managed practices. Wutchiett Tumblin and Associates. https://wellmp.com/wutchiett-tumblin-associates-benchmark-studies/benchmark-study-2015.php. Published 2015. Accessed November 2016. The Art of Public Speaking. 12th ed. Lucas SE. McGraw-Hill Education; 2014. Compensation & Benefits. 8th ed. AAHA Press; 2016. Crucial Conversations: Tools for Talking When Stakes Are High. Patterson K, Grenny J, McMillan R, Switzler A. McGraw-Hill Education; 2011. In Business As in Life, You Don’t Get What You Deserve, You Get What You Negotiate. Karrass CL. Stanford Street Press; 1996.